The Russian Lower House voted to expel opposition MP Gennadiy Gudkov for violating a law that forbids parliamentarians to be involved in commercial activity. The decision was passed with 291 votes in favor and 150 against, with three abstentions. Gudkov spoke in front of parliament before the vote, claiming that the charges against him had no legal basis. He alleged that the majority United Russia Party was looking for a way to eliminate its competition. He also slammed parliament for the time spent on him instead of what he saw as the need to solve the more urgent problems of crime and corruption. He called the debate his “Golgotha,” and said he was ready to climb it. 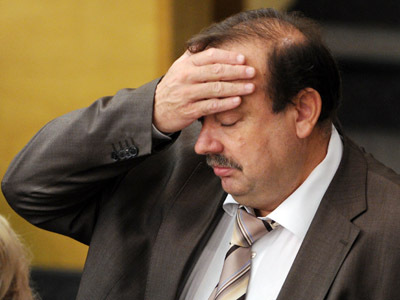 One of the deputies in the session hall called Gudkov “Judas” in response; the MP answered with obscenities. During the debate, the leader of the Liberal Democratic Party, Yuri Zhirinovsky, pointed out that Gudkov had worked for the fifth directorate of the KGB, which was tasked with stifling political opposition in the Soviet Union. Zhirinovsky said that this put the lie to Gudkov’s claims that he was a dissident. Gudkov was a high-ranking KGB colonel who retired in 1992. He then launched a successful private security firm that branched out into retail and real estate. In parliament, Gudkov represented the left-centrist Fair Russia Party. Fair Russia has supported most of President Putin’s policies, but has also been an occasional critic of United Russia’s methods. Gudkov was first elected to the State Duma in 2001 by an independent constituency, and then joined United Russia. He switched camps to Fair Russia in 2007 and was re-elected in 2011. Shortly after the switch, he began to criticize United Russia; first for neglecting the interests of special services and the military, and later for alleged violations of election law and for what Gudkov called its monopolistic power in the country. 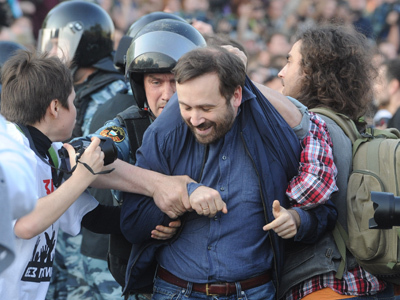 Gudkov and his son Dmitry – also a State Duma deputy with Fair Russia – were among the protesters who took to the streets in Moscow in the spring and summer of this year. During that period, the State Duma held hearings on whether Gudkov should be deprived of his parliamentary post and stripped of legal immunity. In September, the Russian Investigative Committee submitted a report to the Lower House alleging that Gudkov was not adhering to the commercial restrictions imposed by law on parliamentarians. 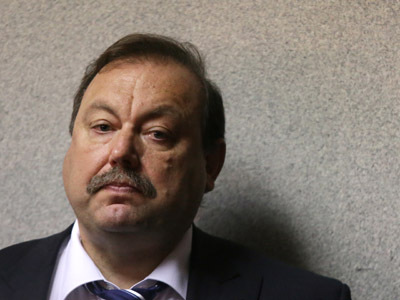 Investigators claimed that Gudkov was managing a construction company in Bulgaria while remaining an MP. The State Duma commission examined the evidence and ruled that Gudkov should be expelled from parliament. 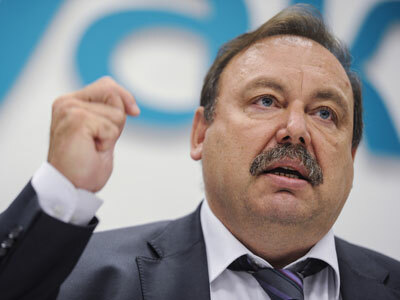 The leader of Fair Russia, Sergey Mironov, argued that stripping Gudkov of his seat was a violation of the Constitution. However, Mironov also told the press that the party was not planning any moves to counter the vote, as this would be a sign of weakness. Gudkov promised to address the Supreme Court on Monday over his expulsion, and that his statement would not be a bid to have his position restored, but to demonstrate the value of the State Duma. Fair Russia and the Communist Party earlier filed a request with the Constitutional Court to issue a ruling on the legality of stripping a State Duma deputy of their post before a conviction in criminal court. The prosecutor’s office is currently conducting a pre-investigation examination of the case against Gudkov. In late September, the office will decide whether or not to open a formal criminal case. If convicted, the former MP could face up to two years in prison.